Like it or not smart phones are changing the way we do things. I've been a little slow to embrace it all. 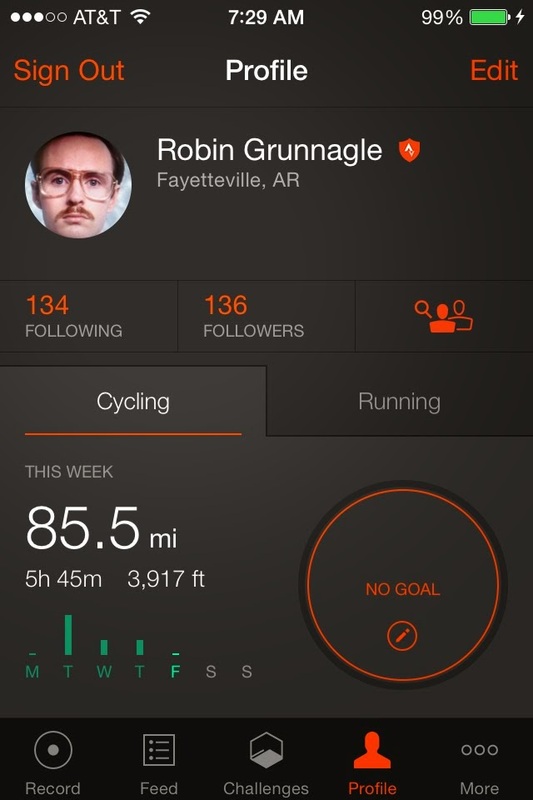 Pretty sure I was the last member on my team to join STRAVA. After a year of getting heckled I finally succumbed to peer pressure and took a drag. Now rides don't exist until they are uploaded. I recently discovered a fine weather app. 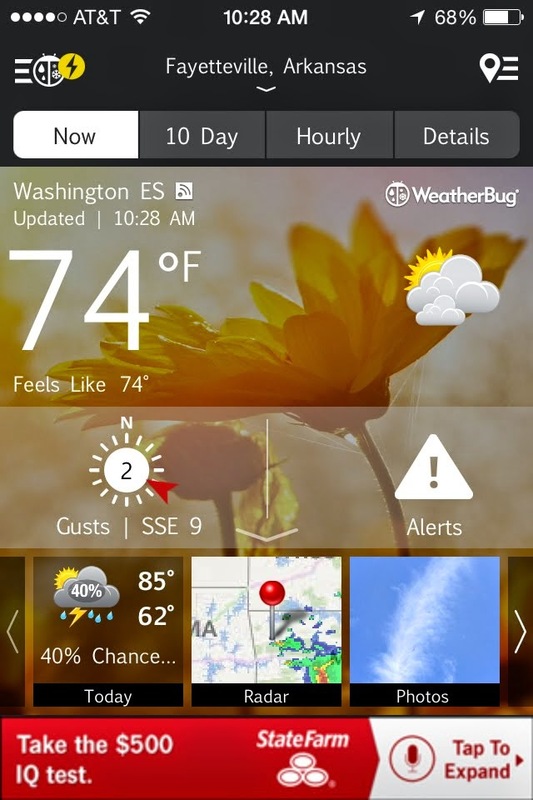 Most of you probably already use the WeatherBug. It is currently my favorite in a category that has lots of options. Here's why. First, it loads more quickly then other apps. Because 2 seconds is lightning fast compared to say well...4 seconds. 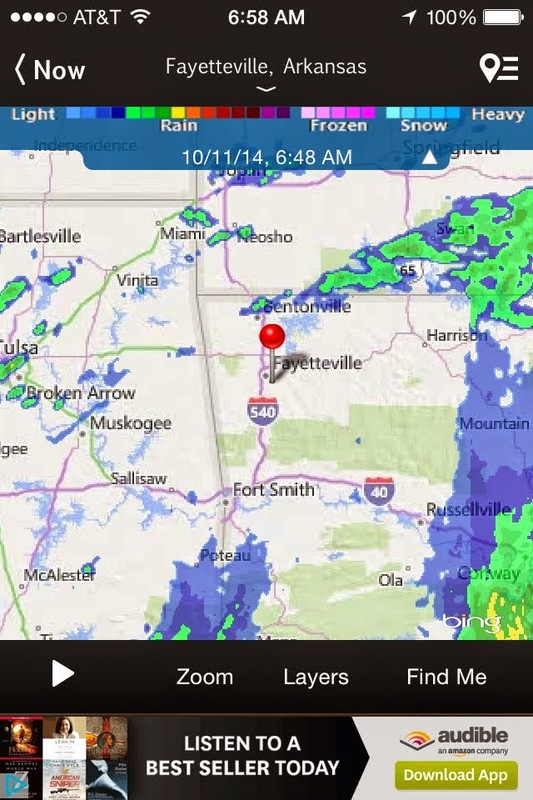 Second, wind direction and a snapshot of the radar on the first screen. Third, the radar loads super quick. Fourth, the lightning detecting feature is great. 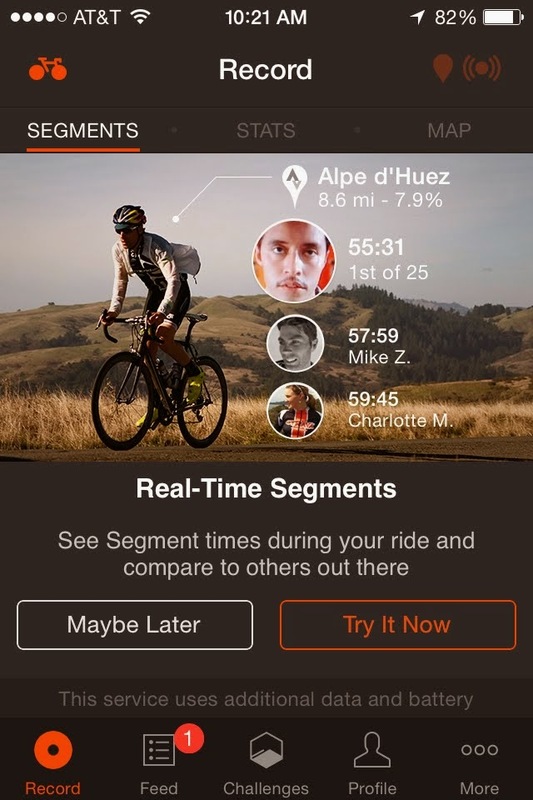 THE app that has changed cycling of course is STRAVA. The latest updates are pretty cool. Have you updated yet? Here's what's new. Redesigned profile page. Way better then before. Information for the week. Kudos! They read my mind. 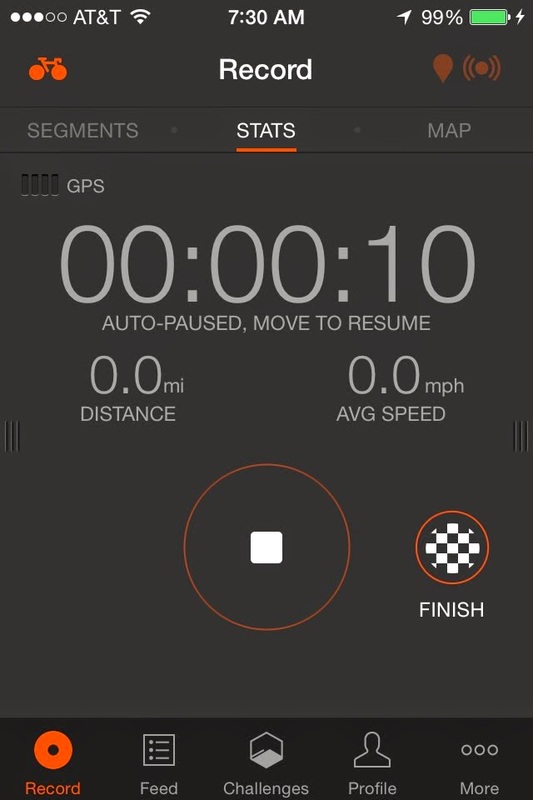 Check the goal setting feature as well. Auto-pause is indicated on the screen. No more worrying about manually pausing when you have a nature break. Oh snap! Real-Time Segments. While not part of the recent update, I just discovered it. This could be scary cool. Or just scary. Technology is fascinating. Do you have a app to recommend? I want to hear about it. Please do so by leaving a comment below. 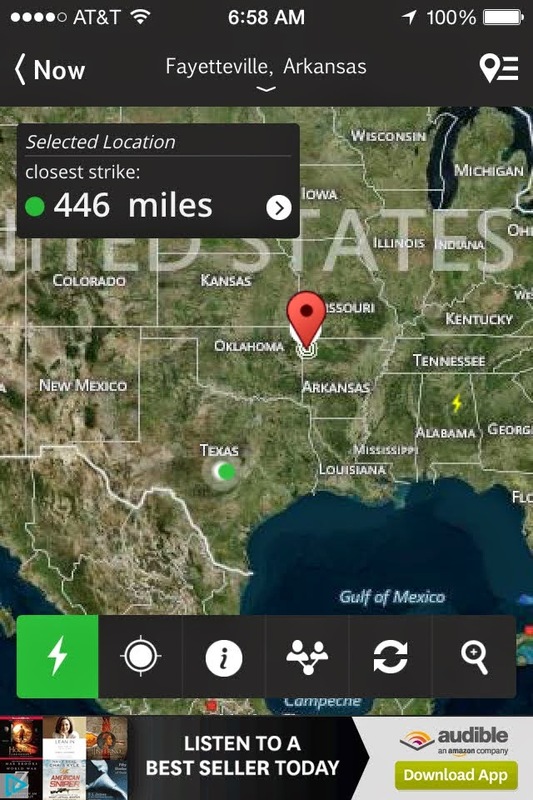 Radar scope is the best radar app out there. It is real time radar that is updated every second not every 5 minutes. I have used it countless times, not only on the bike, but at home for severe storms, etc... It does cost 9.99 but even skeptics that raved about weather bug, now will admit... Radarscope is the best. Thanks doc! I'll check it out. Whoa Ryan D, that is awesome. Lots of cool information via the app. Modern apps are the best, aren't they?